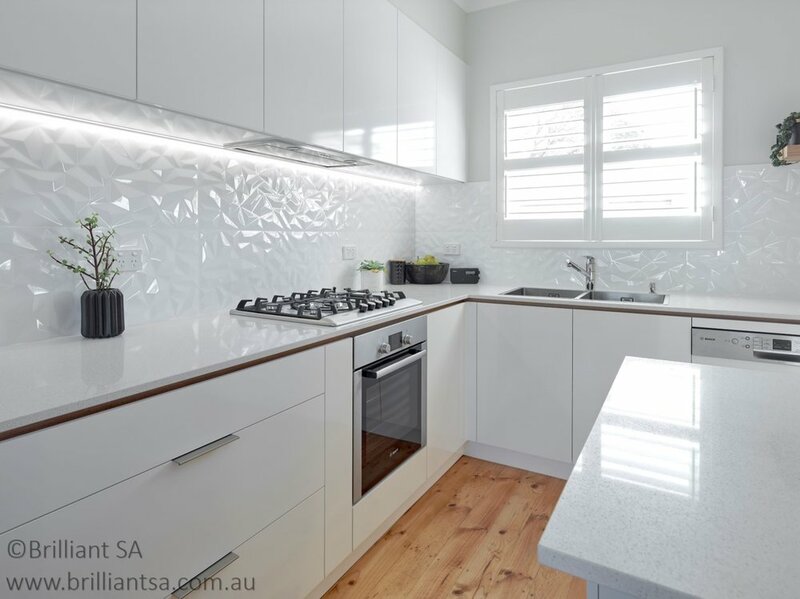 Italia Ceramics takes you through refreshing/inspirational ideas for white kitchens. The championing return of white kitchens is something we have always loved. White kitchens are light, bright and clean, everything we love. Having a blank white canvas allows endless design possibilities with home interiors and accessories. 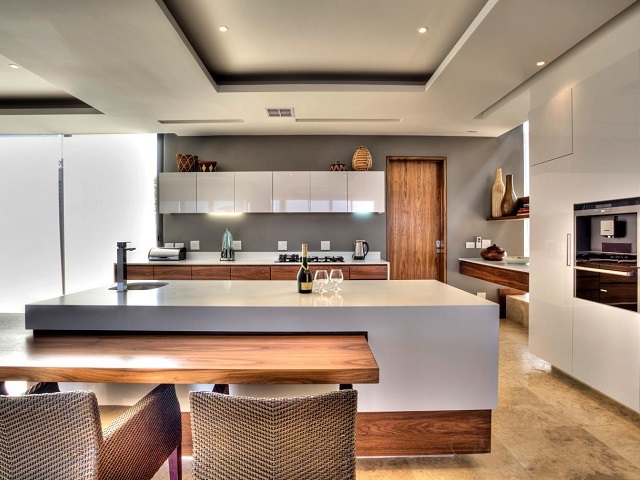 When designing your kitchen you should consider the materials, textures and finishes that create a design that suits your lifestyle and the heart of your home. 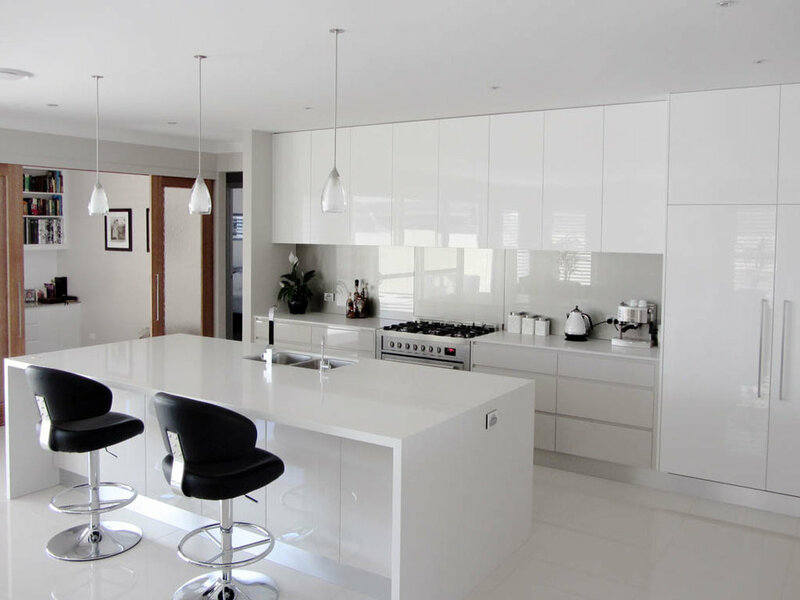 White kitchens creates such exclusivity and powerful visual impression. Walking into a white luxurious kitchen creates a soft and elegant look. 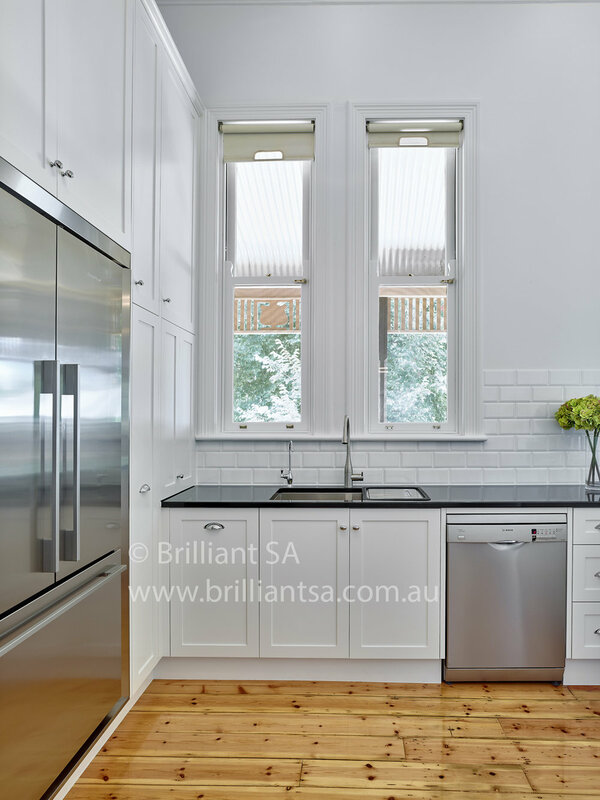 White stone benchtops create a pure, clean and refreshing look in the kitchen. 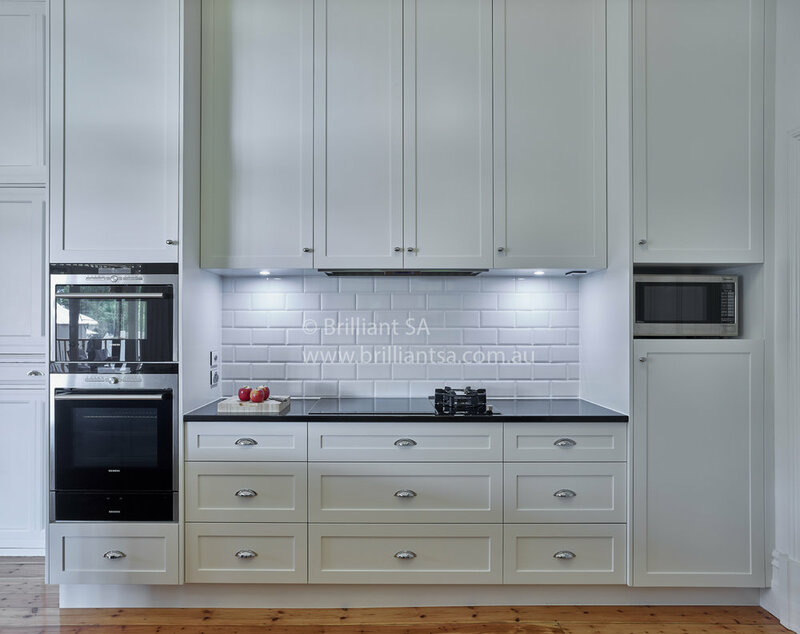 Choosing a white kitchen palette evokes a sense of purity and spaciousness, perfection for creating the illusion of space. 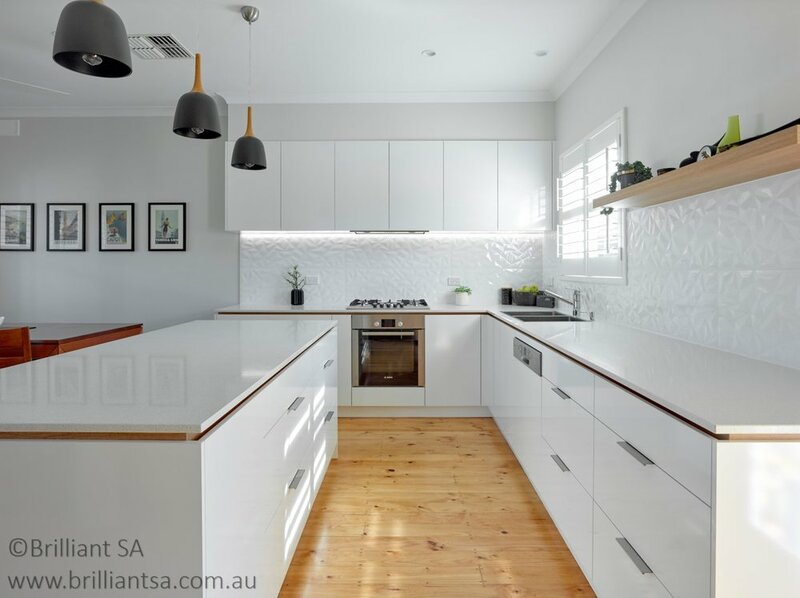 Caesarstone offer a collection of stunning whites ranging from the pure toned and minimalist to the highly detailed and organic, perfect for whatever space you want to create in your home. Mosaic tiles create amazing works of art showcasing attractive designs, shapes, colours and texture. White mosaic tiles can create that little touch of detail that makes a tremendous difference. Mosaic tiles enhance decorative statements in the most charming ways. 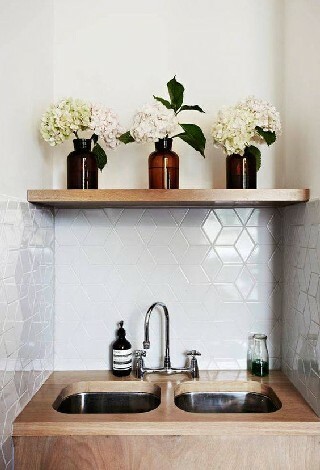 Nothing screams style and class more white subway tiles. 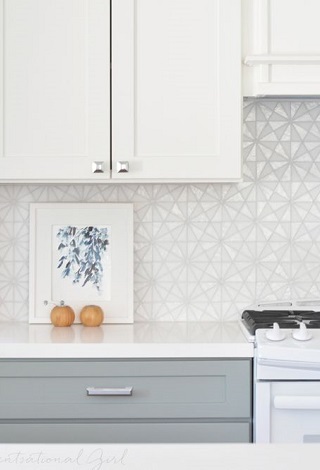 Subway tile splash backs are on trend and are here to stay. 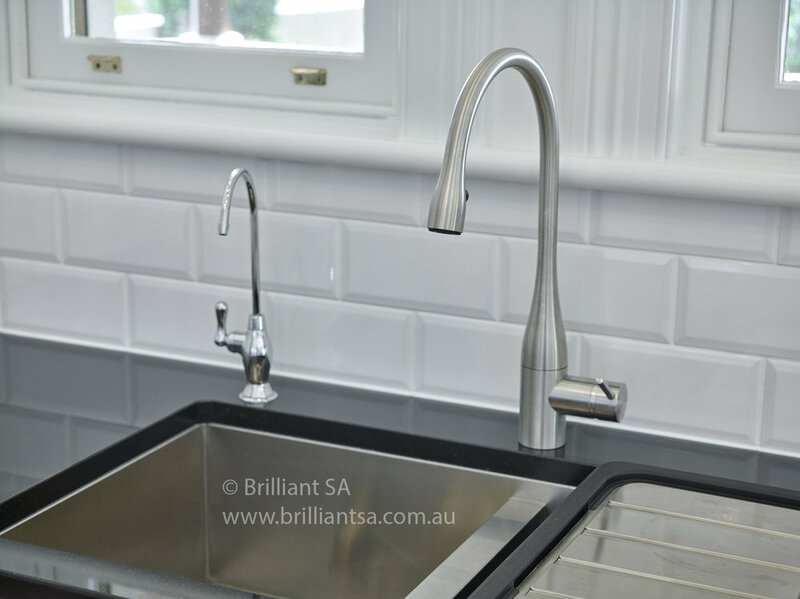 The inherit style creates a practical streamlined look in the kitchen where good times are to be made. 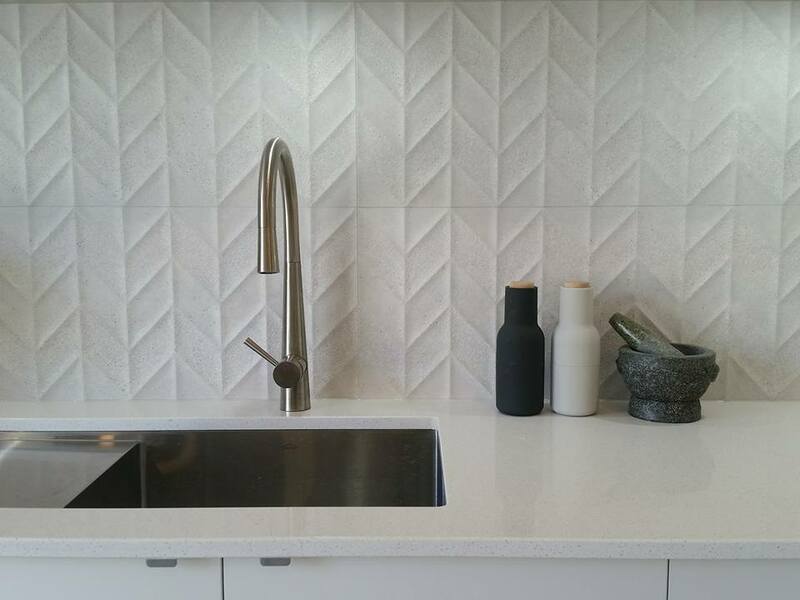 Subway tiles can create fascinating patterns such as herringbone and chevron patterns to create a charming tilework in the heart of the kitchen space. 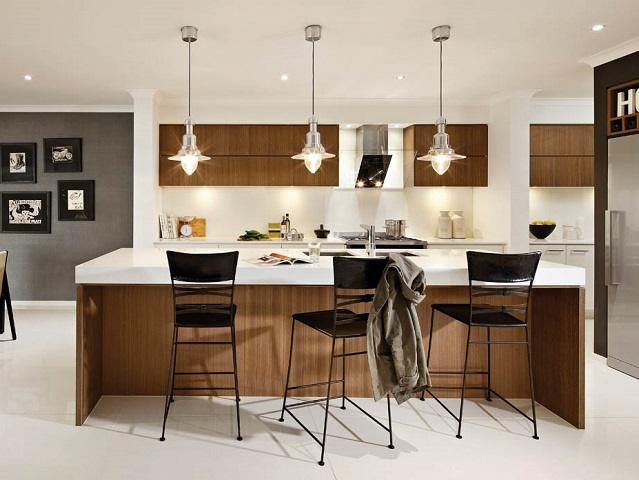 Give your kitchen visual interest by incorporating timber to add visual interest and warmth into the home. 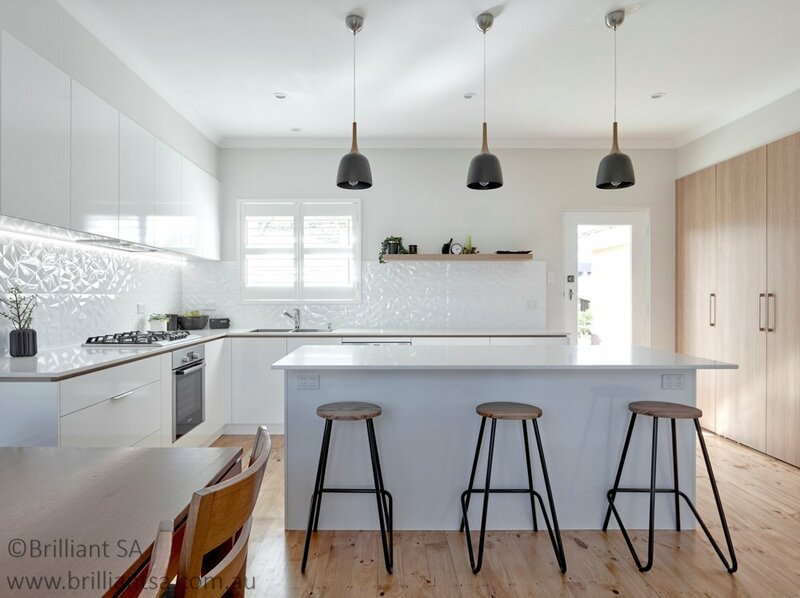 Timber floor tiles, breakfast bar, exposed beams or wooden homewares can create instant warmth and character to your home. 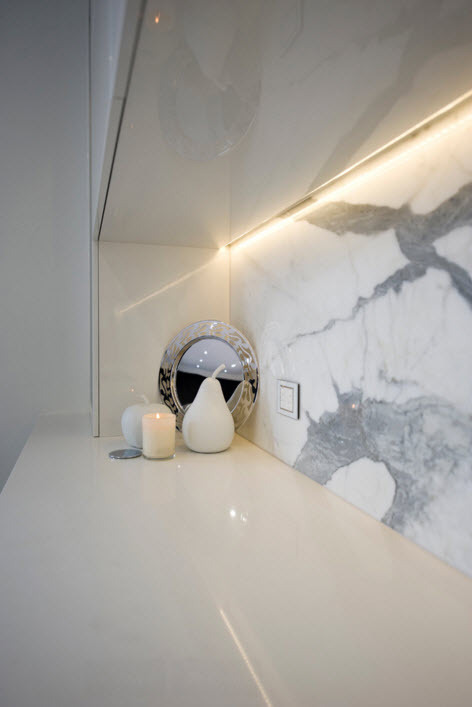 Add a touch of luxury with a natural stone splashback in the heart of your kitchen. Introduce your desirable space with texture and pattern into an all-white kitchen. The colour, tone and texture varying from surface to surface, making each tile unique. 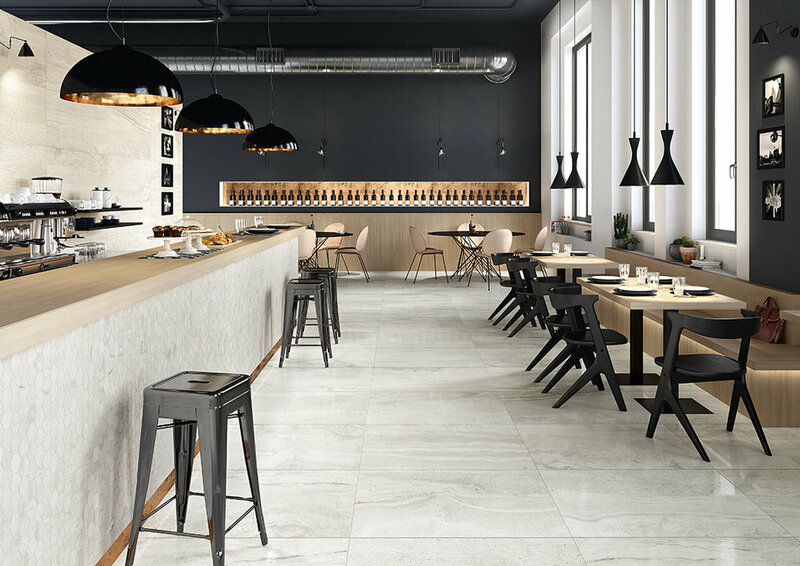 At Italia Ceramics you can choose from a large range of natural stone including: marble, granite, travertine and limestone. It is recommended that all natural stone products are thoroughly cleaned after installation and once cleaned a sealant be applied to the tile surface and re-applied periodically depending on the wear and tear of the material. This ensure no food and oil sprays will stain the surface.